The NEWEST (and BEST) PROFESSIONAL, TOURNAMENT Night flyer Golf Ball we have ever designed... the CONSTANT ON (CL) . 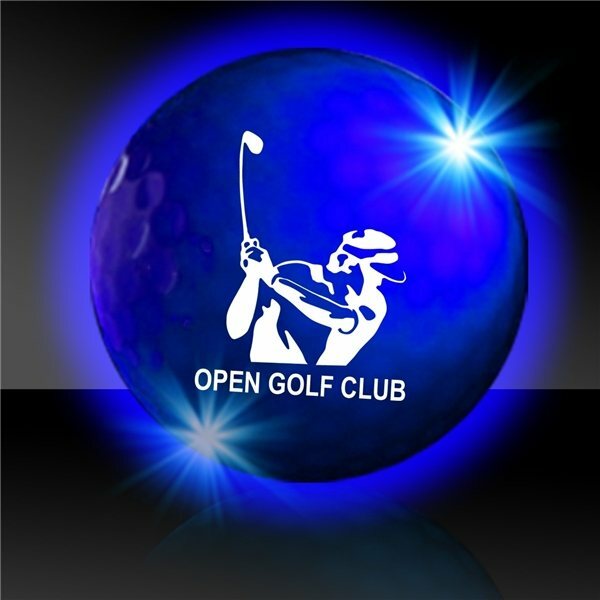 The CONSTANT ON Lighted Night Flyer Golf Ball is HERE ! This YELLOW L.E.D . constant illumination Golf Ball sets a new standard in Night Golf Play. Besides being official weight and size, the Night Flyer Constant On Golf Ball is a very sophisticated piece of equipment designed to light-up upon sensing a strong impact. Once activated, the built in computerized timer will keep the ball illuminated for 8-10 minutes after which the switch will automatically turn off the light to preserve battery life unless? the ball receives another firm impact. Anytime the computer senses a strong impact the timer will be reset to zero and restart the 8-10 minute light-up period. Batteries in each ball are sealed and are NOT replaceable. Night Flyer Golf Balls are protected by Patent # 6,042,487.